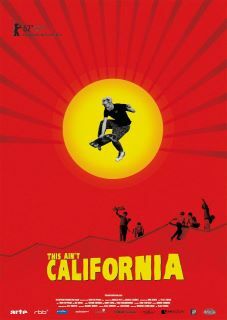 This looks interesting, and thanks to Slow Travel Berlin for putting it on our radar… Winner of a prize at this year’s Berlinale International Film Festival, This Ain’t California is a documentary about skateboarding in the GDR, a.k.a East Germany. Like with the surfers in Cuba, just the choice of activity and its origins in the west of the United States would have been seen as a subversive act of rebellion under the Socialist regime, and that is before the riders took their “wheel-boards” across the so-called public space that was the 1980s Alexanderplatz. According to the Facebook page, This Ain’t California will be hitting cinema screens (in Germany we presume) in August 2012, and is doing the round of the film festivals, and is an official selection for the Atlanta Film Festival 2012. This entry was posted in Miscellany on March 15, 2012 by Paul Scraton. I saw This Ain’t California at the Berlinale this year and can highly recommend it. It was well-paced, interesting and moving. One of the best German films I’ve seen for a while. Thanks for the comment. I will definately try and catch it when it comes back to the cinemas of Berlin.